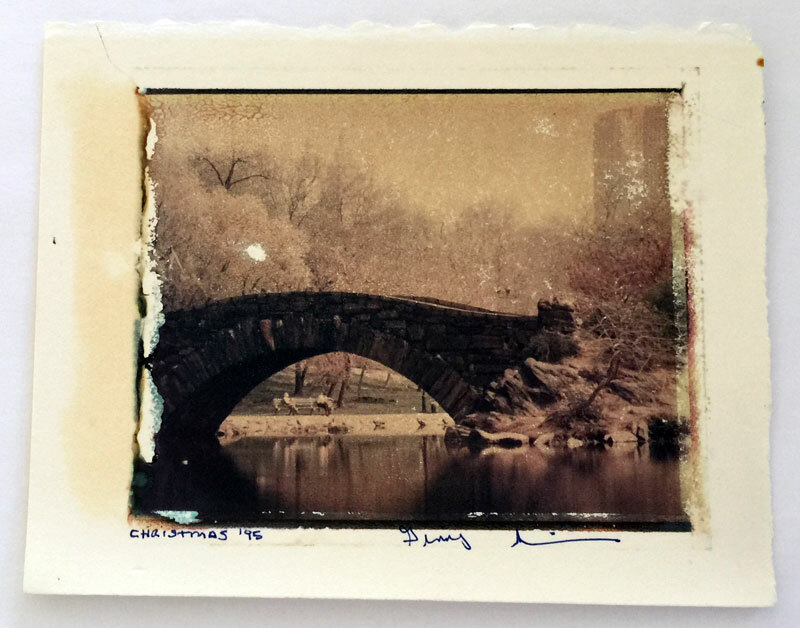 Also check out my 2011, Mindfulness with Jon Kabat-Zinn post. I have spent the last week filled with the joy of inspiration driven by two disparate sources delivering arguably the same message. Father Boyle says we’re all nobly born and born wanting the same things. Dan Siegel says we are all born with the same plane of possibility. Father Boyle says there is a false idea out there that some people are lesser than others. Dan Siegel says that the idea of separate self results from an outdated social construct that still dominates our culture, which needs to be replaced by acknowledging our sameness with all life. 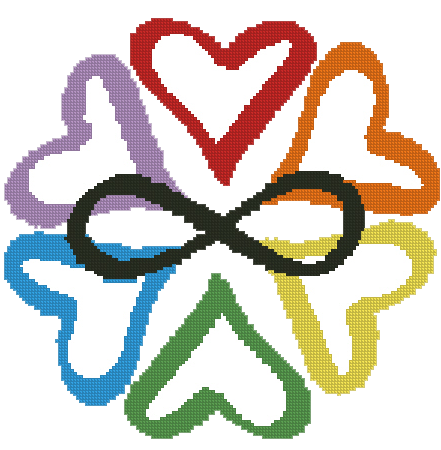 Both Seigel and Boyle encourage us to embrace love and joy for ourselves and all existence. 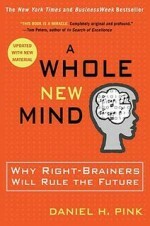 Dan Siegel, among his other scientific endeavors, is the founder and director of The Mindsight Institute at UCLA. A scientist inspired in recent years by mindfulness meditation, Siegel has created the Wheel of Awareness guided mindfulness meditation. Siegel envisions science and spirituality merging as one. Father Boyle is the founder of Homeboy Industries and began working with gang members 30 years ago in the toughest part of LA. He began by riding his bicycle around “the hood” and inviting waring gang members to learn a better way. His stories of love and respect and win-win results brought me to the brink of tears over and over. “I did not have to carry the burden they did” he repeats. Both Boyle and Siegel say the demonizing is the enemy. Both Siegel and Boyle help people face their fears that keep them from being able to fall apart. Siegel says we often need to “go to pieces” in order to heal trauma and find peace. Boyle says a “healed” gang member does not return to jail. Peace is our ground of being – the same ground on which we all enter the world – the ground of pure potential. Dan Seigel says it is the false concept of self that allows us to trash the world and that must change. Father Boyle says we must realize that we belong to each other! How often do you experience being totally in the moment, fully focused on your work, a piece of art, running, an experience that you might describe as in the zone, a moment of bliss, nirvana? Isn’t it great being in a state that works for you and is enjoyable, creative and productive? Did you know that a regular meditation practice can invite such a state to occur more often? I realized, after so many years of meditating, that by simply by returning again and again to the practice I was doing “reps” (like when you’re exercising). Even if my mind seemed to continually chatter and wander, each return, however brief, was a like a rep, strengthening the benefits. If you want to try meditating, there are many teachers, free online audio and video guides, and even apps to help you start your practice and to keep it going. I use an app called Brightmind. Another popular app is Insight Timer. Use whatever works for you! Ideally you will meditate a minimum of 10 minutes most days. You will experience benefits as you go. Noticing positive effects of your meditation practice helps encourage you to continue. You might even try setting an intention before each practice session. Wishing you your own ah-ha moments. 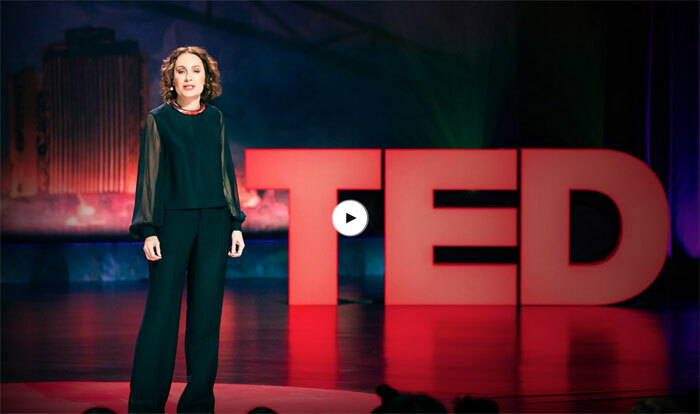 In this TED talk Psychologist Susan artfully discusses the values and ways of developing “emotional agility”. I was inspired by the beautiful articulation of her philosophy, which is parallel to my point of view in collaborating with clients to fine-tune their relationships with their emotions in ways that lead to lives that fulfill their hopes and dreams. Enjoy! Communication – a lack thereof and desire for – is the one of the most common reasons people seek therapy. Communication, for one, involves talking and listening, which we often think of as a mind skill. But it is more than that. Listening involves the mind and the body; thinking and feeling. Truly “attending” to an answer may require more than just basic listening. An exercise or tool to improve communication often taught in therapy is called “active listening”. You listen with the intent of hearing and then say back what you heard (correcting if necessary) until the other person feels authentically and accurately heard. Then you switch. But the real key to resolving issues is to go beyond listening and hearing, into understanding. Through active listening, you broaden the lens of perception and pave the way to understanding. Understanding involves thinking (the hearing part) and feeling. The two elements operate in conjunction — thinking is often, if not always, driven by feelings. Feelings inform thoughts which inform feelings, which inform thoughts, and so on. So, the mind (thinking) and body (feeling) are connected. But, while engaging in dialogue — focusing on the words — we often unconsciously forget about the body/feeling part. We override or ignore those feelings. Listening is an auditory skill, but the kind of listening we really crave involves all the senses, including feelings. So as you tune in to the words, try to remember to tune into the feelings behind them, too – this is where the true connections can be found. Yes, listen. But practice listening beyond the auditory component – and not just in your closest relationships, but with everyone. Each verbal encounter with another is a mini relationship; a chance to practice this incredibly valuable skill. Tuning into this mind/body connection can, and most probably will, help you to become a more skillful communicator. If we could all be mindful of this in our every interaction, the effects would undoubtedly be far reaching and profound. Ellen McCarthy is the author of The Real Thing: Lessons on Love and Life From a Wedding Reporter’s Notebook. It covers the advice she gathered from more than 200 couples, the weddings she attended and the experts she met on the beat at the Washington Post over four years. McCarthy joins “CBS This Morning” to discuss what she learned. Who is in charge you or your emotions? Would you like to trade places so that you are in charge? Our language identifies us with our emotions — “I am depressed”, or “He is always scared”, or “She seems to be such an angry person” — we speak as though the person is the problem. YOU are not the problem. The PROBLEM is the problem. Perhaps you have developed a “story” in which your “problem emotion” rules. In other words, your emotion has become bigger than you, which can feel overwhelming. If you feel uncomfortable enough to seek change (it’s important you desire the change you seek) — if you would like to create a new narrative where you are in charge of your emotions — therapy might help you make that change. I am your facilitator, collaborator, assistant director. Together we examine your relationship to the problem. 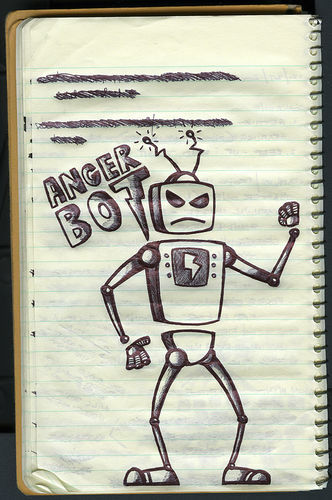 For example, “Anger gets me in trouble and I do not like that.” We explore your strengths, resources, and successes. We find new possibilities. We co-create a new, preferred story, putting you back in charge. Just after I posted my latest blog, I received an email from Nick Ortner, with a link to a video. Nick and his sister Jessica Ortner are the founders and owners of The Tapping Solution. The video shows Jessica’s interview of Congressman Tim Ryan about his new book, Mindful Nation, plus exciting and encouraging news about attempts to engage the congressmen and women co-workers in some mindful moments. Tapping is an effective tool for emotional and physical balancing, which I use on myself and in my practice. I would like to hear what you think when you explore the above resources. WAIT! Before you stress even one more time, watch this! https://www.ginnywinn.com/wp-content/uploads/Screen-Shot-2013-09-21-at-5.49.02-PM.png 315 560 Ginny Winn http://www.ginnywinn.com/wp-content/uploads/ginny-winn-mft-logo-120.png Ginny Winn2013-09-22 00:48:132014-05-25 02:14:08WAIT! Before you stress even one more time, watch this! For 27 years I swam every day, first a mile, then ½ a mile. I plotted and schemed to fit my swim in to my schedule. Then one day many years ago, as I sat on the edge of the pool not wanting to go in I thought, “I have exercised almost every day of my life and a huge percentage of the time I have had this conversation going on in my head, something like: “I don’t feel like (in this case) swimming. This is taking too much time. I’m too tired,” and numerous other rationalizations. Then, I thought, “But how silly is this thinking? I know I’m going to swim. Well, I’ll just get in and if I don’t like it I can get out.” There were times that I conned myself for a whole mile. But I always swam and always felt better, even great, mentally and physically. I am thinking negative thoughts, which are causing negative feelings. The programmed mind/body sense ultimately reminds me that I always feel good afterwards. Having become conscious of the mind body process, I can delete the negative section, the to do or not to do thoughts, and the negative feelings. Now the whole experience is mostly happy and my life is enriched. As a therapist, I am helping people expose problematic wiring. Together we examine the short-circuiting, and rewire in a way that lights you up. You become conscious of problematic thoughts and accompanying feelings. Develop clarity about the distinctions between thoughts and feelings. Re-pair thoughts and feelings according to what you would like to have happen. The result is more effective, empowering and enriched relationships. It’s not the thought, but the thought + feeling that counts. Michael Phelps and his coach, Bob Bowman, attribute 22 Olympic gold medals to psychological, as well as physical training. “He’s the best I’ve ever seen and maybe the best ever in terms of visualization. NOTE: If you’re not good at visualizing, then try to imagine; remember sounds; feel the feelings stirred in your body; hear the words people will say; what you will say. You can use this model for success in your own personal Olympics, with a profession psychotherapist or on you own. Look at the “problem story” from different points of view (every story could be told at least 5 other ways). Clarify what you would like to have happen. What is your intention? How will you know if your therapy has succeeded? Develop practices that you can do on your own. Role-play situations that are problematic. Prepare to respond, rather than react. Move from being the victim of circumstances to an empowered position of choice. 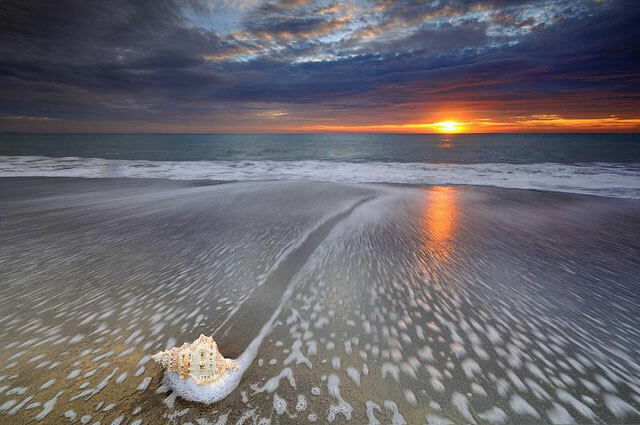 Confidence that you will know what to do when the time comes. Mental processes for handling the unforeseen. Freedom to focus on what you would do, rather than worrying about what might do you in. Freedom to focus on the task at hand. For Michael Phelps that is swimming; for you it is the action necessary to fulfill your dreams. Remember to practice, practice, practice. Practice every day, mentally and physically. And, congratulate yourself on even small victories. Say to yourself, “You did it!” Experience the feelings that go with success. When you hear yourself saying, “I am so stressed”, or you feel literally uptight — that is, parts of your body are tense — first, breathe. Often when I hear or even speak the word “breathe”, I find I am holding my breath. Next, a phrase that might come to mind is: “The heart remains a child”. That phrase induces compassion. Rather than: “How could I be so stupid?” or “I/he/she should know better by now!” — “The heart remains a child”. How would you like yourself to treat a child? How would you have liked to be treated as a child? As a Marriage and Family Therapist, I often see couples and individuals who are seeking help to get out from under the weight of emotions unleashed by love lost, a relationship in trouble, or by what seems like an inability to find love in the first place. Regardless of sophistication, professional achievement, and education, people remain unable to manifest the relationship of their dreams, or are overwhelmed by the painful feelings of love lost and loneliness. Therapy can help you learn to live better according to your own values with more comfortably balanced emotions. A broken heart is an open heart. And from that open place where “the heart remains a child”, we can start again with love and compassion for our selves and each other. *The Heart Remains A Child is a song title from The Walking Wounded, an album released in 1996 by the group, Everything but the Girl. Recently, I was at a year-end meeting of the Los Angeles Unified School District (LAUSD) Adult Education Division, in which I am credentialed. I was reminded, by inspiring words from retiring teachers, of my experience counseling children directly, teaching parenting, consulting with teachers and supervising Marriage Family Therapist Interns who counseled kids at the schools. One teacher brought in to focus that everyone is a child and/or a parent. The child/parent relationship is so central to all relationships. You might ask yourself to describe a favorite teacher. What qualities would describe the best teacher? You are your child’s first teacher. Imagine a rope made of red, white and pink threads. From a distance the rope looks pink. As you come closer and closer the colors begin to separate from each other, and become clearly red, or white, or pink. 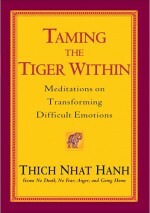 The process of therapy clarifies thinking and increases mindful, conscious awareness and the ability to mange emotions. Children often pretend, for example, that anger is a monster. At first the monster is in charge of the child. 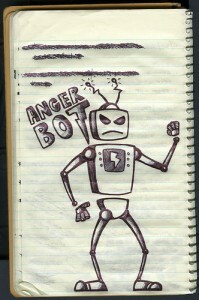 Then they create solutions, such as smashing the anger and vacuuming up all the pieces, or imaging a big red stop sign, as the body signals anger approaching. The child takes charge of the problem, instead of visa versa. Parents, teachers, client and therapist collaborate as a team to make life happier and more productive for everyone involved. 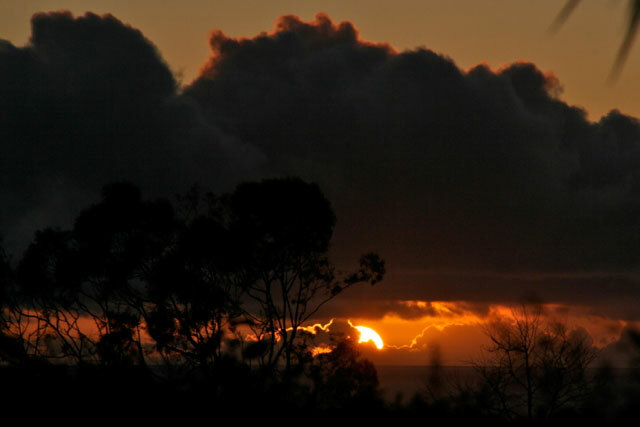 In the 70s I was doing a meditation retreat with Ram Dass in the redwoods outside of Santa Cruz. Five days of silence! The thought terrified me. The reality, however, was tremendously freeing. Over the five days, I felt myself move in to a feeling of union with the whole community, which often happens in intensive trainings, but this was on a deeper, wordless, spiritual level. At 3:00 am, we arose for a one-hour meditation, all together in the meeting room of an A-Frame made of glass and surrounded by tall trees filtering sun and moonlight. Then we returned to our cabins for 2 hours of sleep. At 7:00 am we did yoga while smells of oatmeal, hot chocolate, coffee and tea wafted from the kitchen along with chanting as breakfast was being prepared. 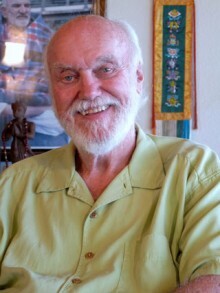 Then we spent 3 hours with Ram Dass, which sped by as we were entranced by his combined enlightenment and fun sense of humor. Each afternoon we could choose to learn one of several meditation styles and traditions. Before bed there was another Ram Dass gathering. 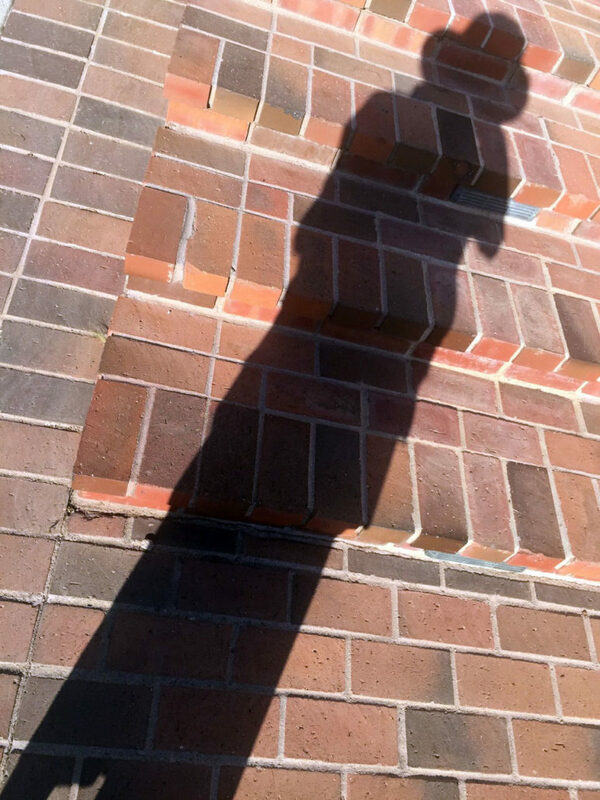 As I sat in the warm sun during lunch break, a self-defeating pattern arose. When Ram Dass had told us we could break silence to speak with him if need be, my star student aspect had checked off any need for help as an admission of failure that certainly would not be necessary. Of course conditions were ripe for any self-loathing to show itself slithering along the path to enlightenment. And, in the middle of paradise, no one having said one word to you for days — except Ram Dass in his fun and funny, inspiring words of wisdom — it is pretty obvious there was no one to blame but myself. I walked back to my cabin saying the words over and over, and promptly wrote them in my journal. Twenty-four transformational hours later, calmer and happier, I repeated those words back to Ram Dass, which prompted a shared triumphant laugh. In the loving spirit of the gift, I am passing it along to you. As you experience yourself as “enough”, so you will see the same in others and feel much more at one—attuned/in tune, and thus less separate and alone. Sometimes I write the words on a sticky or a notebook — whatever might be most visibile to me at the time. Repeat: “I am a beautiful soul everything I do is enough.” Catch yourself in those times when you need reminding. How or what are you feeling now? Right now notice your posture. Is your back straight, your heart held high? Or are your shoulders rounded, your body forming the letter C? Right now change position. Stand up, reach both arms as high in to the air as possible and say, “YES!” depending where you are right now of course. Respecting that in this moment for emotional and physical reasons this may be inappropriate or impractical for you, generally speaking you will feel better instantly. Why? Emotion follows motion. Our minds influence our bodies, and conversely our bodies effect our minds. 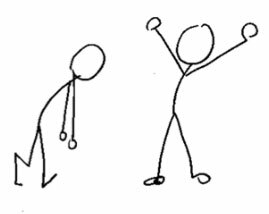 Besides lifting your spirit, standing or sitting tall helps you “breathe easy” and is good for the functioning of the internal organs. When I was very young, I studied dance with the famous Martha Graham. She told us to walk down the street (this was in New York City) and say hello to people with our words, but mainly with our body language. To this day I try to remember, even when I’m walking around at home, to pull my self up tall, shoulders pressed down and back a little, prompting myself with the words: hold your heart high. Often a little smile will automatically follow. People actually say hello to me as I pass them on the street right here in L. A. “Do I know that person?” I say to myself. In this way each of us has a brighter day. If you are used to a bit of a slouch, this may feel weird at first, but it is worth getting used to. This little exercise may not be all that you need to heal your grief, diminish your mental or physical pain, and improve your communication skills. However, minimally, you will feel better now! Lose your mind and come to your senses! Get out of your head and experience the pleasure of smart foods that tickle your taste buds and feel good in your tummy, leaving you feeling light in body, mind and spirit. 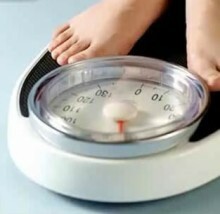 Hypnosis and Mindfulness have healthy statistics that show their efficacy in weight removal and maintenance. Group, and individual therapy are strong supports. Gain skills and tools to-go, such as personalized self-hypnosis and mindfulness audios to take home. We are all experts in the difficulties of dieting! Practically every magazine for the last 10 years features the last diet you will ever have to go on. The focus is on what to eat, how much you can eat, and many unsustainable, unhealthy regimes, which leave your body feeling deprived and crying for balance. Feeling deprived doesn’t work. Is it your time to master your habits in relation to food? Click here to download our “Why Weight?” support group flyer! You knew that! Take action now. Put yourself on the road to success. Change your relationship with food. Replace conflict with compassion. https://www.ginnywinn.com/wp-content/uploads/Screen-shot-2012-02-05-at-1.02.11-PM.png 413 500 Ginny Winn http://www.ginnywinn.com/wp-content/uploads/ginny-winn-mft-logo-120.png Ginny Winn2012-02-05 21:50:362014-05-25 02:27:05Are You Weighting? I wonder if you, as I did, believe that the difference between mindfulness meditation and hypnosis is that you are “in charge” during the mindfulness process, while the hypnotist is in charge during hypnosis? In the 80s I studied and practiced Vipassana, an early form of Buddhist meditation, which began to inform my work as a therapist. I then watched in awe as the techniques of Vipassana, became know as “mindfulness” and spread in to practically every area of psychotherapy. Now I use both hypnosis and mindfulness personally and in my practice. As I enthusiastically study Mindfulness and Hypnosis The Power of Suggestion to Transform Experience, by Michael Yapko, I realize how much guided mindfulness meditation (GMM) and hypnosis have in common. 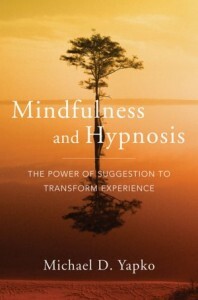 Yapko, (p. 25): I hope clinicians who have embraced mindfulness discover that mindfulness approaches are more strongly related to patterns and dynamics of hypnosis than they may have realized. Mindfulness works; hypnosis works; and it is the task of the clinicians to ask the penetrating questions about how they work, for whom and under what conditions. Both mindfulness and hypnosis are tools of the therapeutic process, adaptable to a wide variety of therapeutic approaches, which are designed to help clients transform themselves in relation to the range of emotionally based mental and physical issues that they bring to therapy. Both mindfulness and hypnosis are clear that acceptance has to precede change, but in hypnosis a well-defined therapeutic target lies one step beyond acceptance. In hypnosis, there is an implicit or explicit suggestion to do something. Are you going to encourage clients who come to therapy with a goal (a hope, a wish, a desired outcome) in mind to “just be” and lead them to believe that by “just being” they will resolve their problems? …. Alternatively, will you retain the essence of the message about the merits of focusing, meditating, and “just being” while encouraging clients to actively evolve specific skills for problem solving? The skill might even be to learn that some problems cannot be solved and the message to “accept and just be” is perfect. The consciousness that mindfulness can be a tool for acceptance and a precursor to action, or just a tool for awareness, is an important distinction for clients to know, and for both therapist and client to discuss in order to facilitate a positive therapeutic outcome. Note regarding professional requirements: You do not need to be a licensed therapist to practice mindfulness or hypnosis. There are associations such as Southern California Society for Clinical Hypnosis, a Los Angeles chapter of American Association of Clinical Hypnosis, which train licensed professionals who have ethical qualifications to really support the client. Two years of intensive training is required for full membership and credential. In 1979 Jon Kabat-Zinn founded the Mindfulness Based Stress Reduction Clinic, at the University of Massachusetts Medical School, to help patients cope with pain, illness and anxiety. In 1995 he founded the Center for Mindfulness in Medicine, Health Care, and Society, also at UMMS. In 2007 Kabat-Zinn gave the following talk to a group of employees at Google Headquarters. The talk aims to demystify the practice of mindfulness and its incorporation in to daily living. If you don’t want to listen to the whole talk, you can skip ahead to the “formal meditation” (from about 24min. to 46min, in the video). Notice the use of metaphor and suggestion, as in hypnosis. 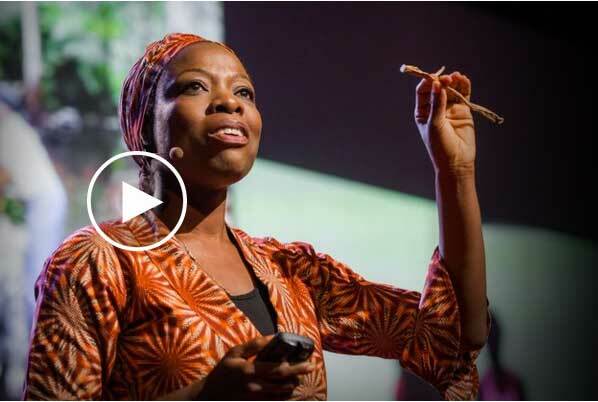 If you have the curiosity, the time, and you’re looking for creative stimulation, I think you’ll enjoy the whole talk. Whether you are a “seasoned” or beginning meditator, or simply want to understand mindfulness (conscious awareness in the present moment), the following is illumination from Jon Kabat-Zinn, a scientist, writer and master teacher of meditation. We are all mindful some of the time. Where do you experience mindfulness in your life? How or when have you harnessed its power? Please feel free to share your thoughts and comments below. I really love all of these books. All of them are guides to the ultimate goal — happiness — and have helped me in my psychotherapy practice and personal development, which happily blend together. All quotes are from the book covers. Dermond is a teacher and founder of The Living Wisdom School in Oregon, a non-profit with a sister school in Washington. The schools emphasize “…non-sectarian spiritual principles and practical skills for living.” The book will help parents and children learn practical ways to live in and communicate from calm and compassionate states. 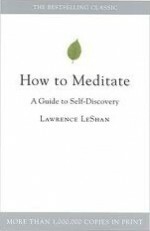 This straightforward primer introduces the reader to a variety of ways to meditate. 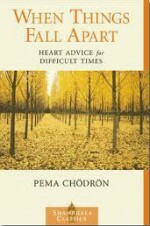 It is a slim little paperback treasure for everyone, especially beginning meditators. 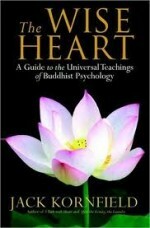 “Acclaimed scholar, peace activist, and Buddhist master revered by people of all faiths, Tich Nhat Hanh has inspired millions worldwide with his insight into the human heart.” The Dalai Lama says of this book “He shows us the connection between personal inner peace and peace on earth”. Each page contains a paragraph or even just a sentence that encourages and inspires us to understand and manage difficult emotions. Howard Cutler asks the Dalai Lama major life questions that you and I might ask. 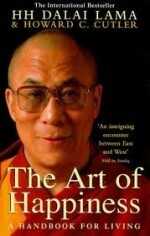 The Dalai Lama’s eloquent and logical answers embody compassion, wisdom and humor. Even if things are not falling apart, each 2-3 page chapter can be read in a few minutes before going to sleep and leave you feeling better and more insightful. 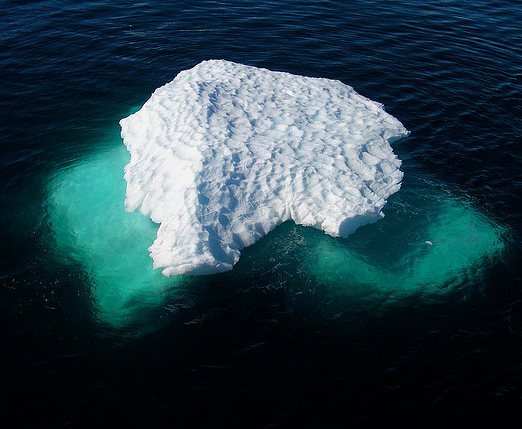 You may have heard that the conscious mind is only the tip of the iceberg. Below the surface of the water is the subconscious, the submarine, where all of our programmed activity is going on. Without being at all scientific, we have the autonomic nervous system taking care of basic body functions such as breathing, and we have all the lessons we have learned so well that we can perform them without much thought, such as brushing our teeth, or driving a car. Relative to the subconscious, the conscious mind holds little information at any given moment in time. If you are a professional basketball player, for example, you can consciously tell yourself to simply focus on the basket and a myriad of complex, subconscious signals are sent to all parts of your mind/body to actually get the ball to the net. You’ve consciously practiced for thousands of hours so that, by the time you’re in the “real” game, those actions and reactions have become subconscious. Have you ever been getting ready to go out to a party, or work, or an event, when thoughts are running through your mind and suddenly you have an “ah ha” revelation about yourself that seems enlightening? What has happened is your mind has slowed way down, and is focusing on how you are putting on your eye make up, or shaving. You are in a meditative state, a lower number of cycles per second of brain wave activity, allowing a new point of view to float up into the conscious mind. Conversely, anxiety, fear, anger and other amplified, negative emotional states can short circuit an otherwise open, flowing process. Therapy can help move you in to a place of choice, so that you can avoid short circuiting. 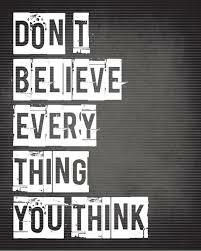 You replace self-limiting beliefs and gain access to positive, helpful thoughts, words and actions. You make more good choices more often so that, to some extent like brushing your teeth, the positive thinking becomes automatic. The short circuits dissolve and clear the way for meditative, subconscious clarity to surface. It seems to me, from everything I have learned at this point in time, including the past 27 years of intensive study, research and practice of psychotherapy, that all methods of therapy are ways of clearing up your circuitry and shining light into the darkness, thus helping you lighten up. Processes such as meditation and hypnosis help you function at a more relaxed, calm level. You brain waves slow down allowing more clarity and ability to choose wisely. Good rapport with your therapist builds trust, which allows you to feel relaxed, calm and comfortable so that you feel safe giving and receiving information. In my work I help bring forth your strengths to use as building blocks in our re-creation. Therapy helps free you so that you can create, love, work, and inter-relate in ways that make you and those around you feel good. You will still make mistakes, and have ups and downs, but you will be able to let go faster, learn the lessons, be good to yourself, and experience more joy! 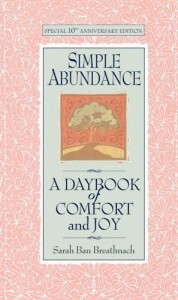 One of the treasures in my extensive, passionate, daily reading, research and studies is an exercise I found in Simple Abundance: A Day Book of Comfort and Joy by Sarah Ban Breathnach. Compelled by the fact that the book was gift from my loving daughter, I eagerly began doing (you don’t just read you do) one page for each day of the year. I read, “…all the other principles that can transform your life will not blossom and flourish without gratitude.” and that a gratitude journal is a must. Immediately I committed to completing five times every night for a year, “I am grateful for_________”. Experience the feelings that go with your expressions of gratitude. Ask yourself, “Where am I feeling this in my body—is it in my throat, chest, abdomen?” Scan your body Notice your breathing. I continue to this day to write or mentally scan my day and now easily find at least five events for which to give thanks. Still sometimes resistance comes, “I don’t want to, don’t have to, who cares, not tonight, I’m too tired.” But I persevere, and the reward is instant! Over time giving thanks has become easier and easier and an exercise I cherish. Psychological, philosophical, and spiritual teachers repeatedly prescribe gratitude. Neuroscientists prove it is true that by practicing gratitude you can positively change your emotional/feeling state, your mind, and your life. I followed Wilke’s orders and when I reached the last line on the first page of the yellow pad, the agent of madness was routed. Use any form of writing instrument, pad, journal or scrap of paper you can or want to, but write! Commit to at least two months. The action of writing your thoughts and feelings will help bring them to consciousness so that you are able to make good choices, experience the mind/body feelings and enhance your ability to create the life you desire. Let me know how this goes — I’d love to hear from you! Therapy holds a key to freeing your brain from self perpetuated negative thoughts. One of the most enduring and helpful psychological tips I ever learned was in the ‘60s from my therapist Albert Ellis. I went to see Ellis at his Institute for Rational Emotive Therapy (RET), the first of the Cognitive Behavioral Therapies (CBT), in Manhattan in 1967. I was feeling so overwhelmed by anxiety that the first words out of my mouth were “I think I need to be institutionalized”. His response: “So?” I laughed with relief. He sent me home with his book, A Guide to Rational Living, first published in 1961, which changed my thinking forever. Did you ever notice how children who get a cut for example cry and cry, only to return to their former play within minutes? Sometimes a hug and a compassionate “that must hurt” helps. We, “grownups” on the other hand keep re-telling the event to ourselves and others, thus perpetuating the upset. Sharing our stories about the bumps and bruises of every day life may help us debrief, make sense of, and integrate the experience in to our larger life story. On the other hand repeating a traumatic story may re-traumatize us, perpetuate the hurt and throw us out of balance longer than is helpful. The point is we have a constant, often unconscious internal thoughts streaming through our minds. The thoughts become habitual, and literally form patterns in our brains – Thus, “neurons that fire together wire together”, the motto of the new neuroscience, actually a quote from Hebbs, 1949. One of the main advantages of mindfulness meditation is to help us become conscious of our thoughts. Once aware we have choices. Here’s one I’m training myself out of. Thoughts about war. My internal dialogue/monologue can develop on the topic and cause anger, despair, and result in a generally uncomfortable, unhealthy feeling. As soon as I notice the war CD starting to play in my head, I stop. 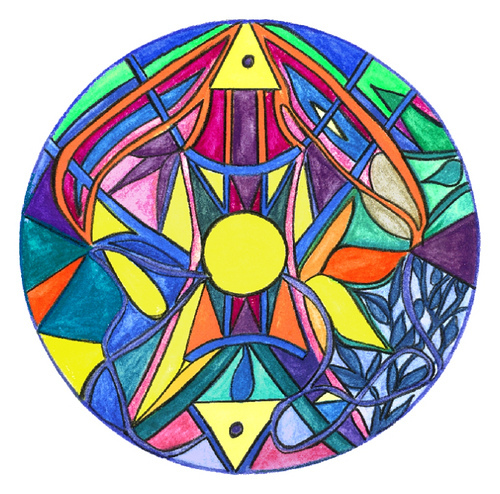 I picture a Stop sign, (learned that from an elementary school boy I was helping deal with anger), colorful mandala, and pictures around the house. When Albert Ellis first taught me to notice my thoughts, I was sometimes so overwhelmed I would say, “Mary had a little lamb….” It works! You’ve thrown a monkey wrench in to the thought pattern. We have expectations and a sense of fairness. More positively ask yourself: How can I implement this in my life? Where in my life am I out of integrity with myself? What am I not doing that I want myself to do? Can I trust myself? Am I trustworthy? Therapy can help you recognize and transform harmful thoughts, which are causing anxiety, depression, grief, anger and other negative emotional states. You can move in to a position of choice and experience more positive emotional states, a happier you attracting happier energy. How is a photo session like a therapy session? 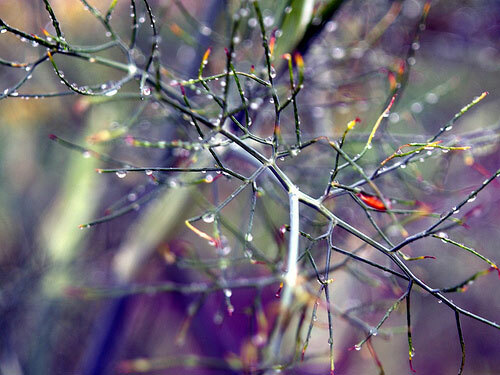 On my way to becoming a psychotherapist I had a photography career. In 1971 I moved from Woodstock to LA with a band doing the visuals for a mixed media musical and from that was hired at Warner Brothers Records to do the audiovisual presentations, and also became staff photographer. Even today I shoot professionally occasionally, but mainly as a hobby. In my traineeship with schizophrenic and bipolar “members” of a residential treatment center, I led a photography group. Looking through the camera, choosing a point of view, and trying to capture the image as you see it, helps ground and focus body and mind. A photo sessions with an individual or a group – like a psychotherapy session – is a mini-relationship; it has a beginning, middle and end. The strongest photos are those in which the photographer captures an essence of the person or people. The connection comes across in the resulting photos. The photos come alive. In the photo session I would often begin by standing opposite the person, both closing our eyes, taking a deep breath. The quietness would bring us both in to the moment and I would ask the person to open their eyes when they were ready. From that centered, grounded moment of connection, we would begin our work together. In a successful therapy session, the connection between client and therapist results in aliveness and clarity. The session helps you connect, or re-connect with your highest essential being. You experience yourself as having moved from where you were when you came in to therapy, to where you want to be. You see the world through a new brighter, clearer lens. You still have your old lens to put on whenever you need it. After all, it has served you well at another point in time. But, now you have the choice of a whole new lens. When you are feeling anxious, angry, distressed, or other negative states, how can you be the change you wish to see in your world? It may not be as hard as you think. Therapy can help! People talk about generating the feeling inside yourself of where you want to be as a way to help yourself get there. Where in your life even for a moment, do you feel that positive feeling? In that moment the anxiety, frustration, anger, or fear is not with you. You have a feeling of expectation that something good is going to happen. 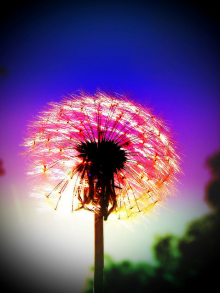 Maybe for you it takes something more serious than blowing dandelion petals away, or finding a heads up penny. The point is you experience a feeling of positive expectation, even if only for that moment. Good therapy helps you see clearly and have the freedom and ability to transform in the ways you prefer. Your heart and mind become harmonious. You move from a current unpleasant state to feeling better. The petals of negative emotions float away. Therapy can help you create a positive state in more and more of your life. The energy you generate generates the energy around you, which attracts like energy and creates a life you love. Together in therapy we can discover and dissolve obstacles keeping you from being/feeling your personal best, develop clarity, and give you tools to enhance and maintain your happiness and your relationships with others. https://www.ginnywinn.com/wp-content/uploads/Screen-shot-2011-07-19-at-7.31.18-PM.png 637 478 Ginny Winn http://www.ginnywinn.com/wp-content/uploads/ginny-winn-mft-logo-120.png Ginny Winn2011-07-19 04:45:022011-07-20 02:33:39Do you feel stuck? Adults remain social animals: they continue to require a source of stabilization outside themselves. … Total self-sufficiency turns out to be a daydream whose bubble is burst by the sharp edge of the limbic brain. Stability means finding people who regulate you well and staying near them. What is a great way to stress less? Gather in the presence of others who share common interests. Pacific Palisades, a slightly remote corner of Los Angeles, between Santa Monica and Malibu is losing a little bookstore which as been a gathering place for community, a place for warm bodies to get together in an atmosphere which fosters positive interaction. We are emotional, socially driven mammals who benefit from positive, personal interaction. As more and more of our ability to safely and easily mingle with other people disappears, our STRESS levels increase. The closing of Village Books, is a sign of the times. Going in to say our goodbyes, many of us could not hold back tears. This is going on everywhere. The Internet is an amazing resource, but keep your eyes open for opportunities to be part of live, face-to-face communities. Become conscious of the communities you are already in – your gym, your work, and school. Look for people who share common interests. We need to nurture and encourage positive, healthy, social interaction. 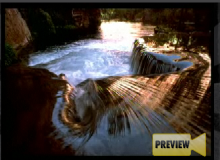 This 22 minute video preview of a creativity program developed by Dewitt Jones — renowned National Geographic photographer — contains many metaphors for life and how to live it. Focus, perspective, balance, passion, caring, and light, are all within us to help achieve our personal and professional goals. Is some out of balance emotion obstructing your ability to be the person you want yourself to be right now? Anxiety, fear, depression, grief, life, can loom so large at times that we cannot see our way over, around or through. 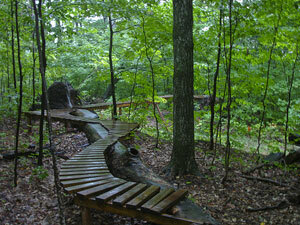 See from different perspectives; move in to a position to choose from several right solutions. Would you like to stress less right now? Treat yourself to a 6-minute guided meditation. The acronym for this exercise is P.I.E. Notice the breath or sensation in the body as precisely as possible. Change is always happening. Even a solid sensation such as pain is impermanent. No judgment – no right or wrong, good or bad. On this site, and possible many others, you have read and watched materials designed to inspire you to transform negative energy in to positive, or manage your anger, grief, stress and other components of your emotional state. The underlying assumption is that you desire to manage your emotions. Do you struggle with your emotions on a daily basis? Do you feel sad, frustrated, angry or anxious more often than you find acceptable? Do your loved ones, peers or co-workers complain about your negative emotional states? If you answered yes to #3, do you think they may be “right”? Would you like to manage or control your emotions better? If you answered yes to all of the above, you may be ready to make good use of the many tools offered for stress reduction and emotional management. If others think you should change but you do not want to, and you seek professional help because you think, “maybe I should”, chances are good that your emotions will continue to rule. 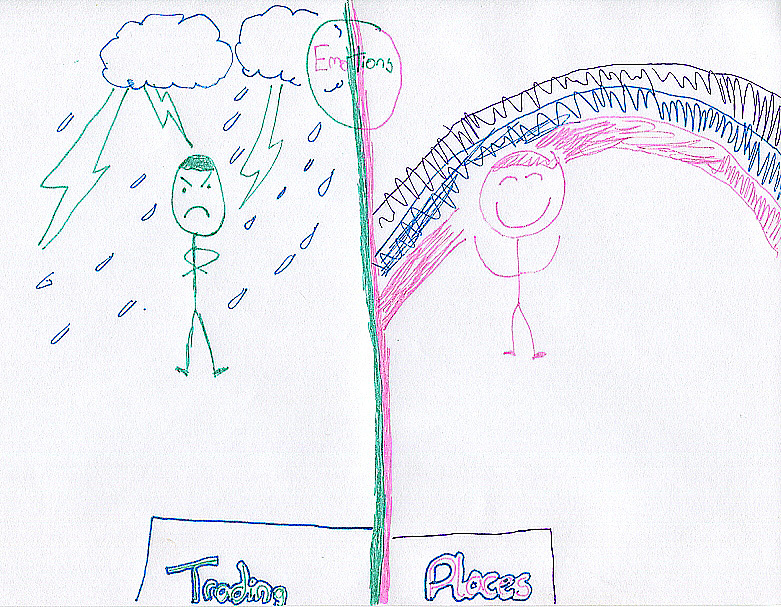 If you would like to take charge of your emotions therapy can help YOU succeed. You do have a CHOICE, even though you may feel you do not. Therapy can help move you in to a position of choice. https://www.ginnywinn.com/wp-content/uploads/choose2.jpg 225 300 Ginny Winn http://www.ginnywinn.com/wp-content/uploads/ginny-winn-mft-logo-120.png Ginny Winn2011-05-17 03:41:032011-05-27 19:55:33Would You Choose Psychotherapy? “Mindfulness” is a word you may know a lot or a little about. Just one click on the title of this new book, The Mindfulness Revolution: Leading Psychologists, Scientists, Artists, and Meditation Teachers on the Power of Mindfulness in Daily Life will put you at the heart of the mindfulness matter. This essay collection describes mindful attention and how it can be applied to such diverse aspects of life as parenting, trauma recovery, money, illness, relationships, and the like. 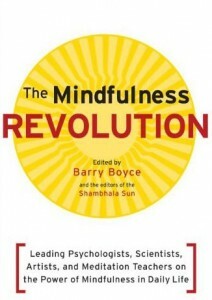 If you were to read one book on Mindfulness, I’d recommend The Mindfulness Revolution. Each of the forty essays on a vast range of topics can be read in a short amount of time, and may give you a brief therapy session on the spot. 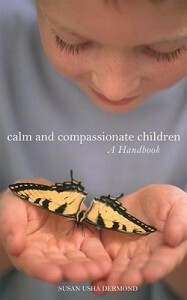 Plus the book provides resources and a bit on each contributor. 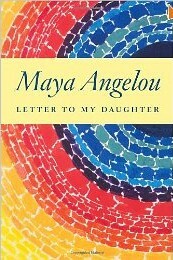 I have found each essay to be soothing, nourishing, and enlightening for the mind, body and soul, and wish you the same. Persuasion is generally the subject of marketing and advertising. However positive use of persuasion could enhance our communications. A masterful positive persuader, Martin Luther King, used his powers of persuasion to inspire social justice and peace for all humankind. A masterful negative persuader, Hitler, used his powers to manipulate and con. WIN/WIN is more than an idealistic philosophy. WIN/WIN is an absolute necessity. …If you do not fill the needs and wants of yourself and those with whom you are in relationship, both parties lose. WIN/WIN is the only way to do business and the only way to maintain positive relationships. Whether you are trying to persuade a friend, spouse, child, client, or to sell a product, to get to win/win it is important to discover what your needs are and what are the needs of your “target”. Often we think of getting our point across, our needs met, achieving our goals. Winning is valued in sports, as well as in many kinds of competitions. Games and competitions have clearly defined rules and boundaries, whereas rules and boundaries in relationships are negotiated. Mastering our powers of persuasion to promote positive feelings, and create win/win situations will result in improved, more pleasurable relationships. Father Boyle, Founder of Homeboy Industries, adds, “Turns out this is what we all have in common, gang member and non-gang member alike: we’re just trying to learn how to bear the beams of love.” (p. xiii). If you have ever had trouble loving yourself or others, inspiration for expanding our capacity for unconditional love fills the pages of Tattoos on the Heart, The Power of Boundless Compassion. One of the bravest, most humane, heartbreaking, brilliant, and hopeful stories I’ve read in ages. Father Greg, the Gandhi of the Gangs, fills Tattoos with unquenchable soul force and down-to-earth love. Read the NPR Fresh Air interview with Father Boyle. For me the message is that only we can hone our ability to stay in a place of love. 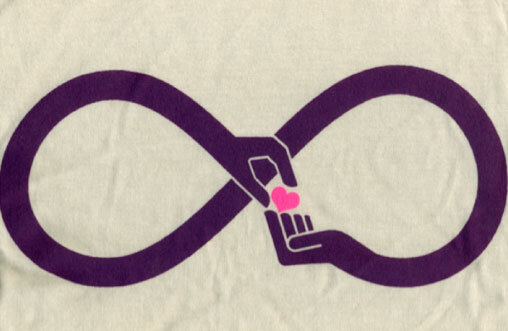 Only we can further develop our capacity to love ourselves and to love one and other. 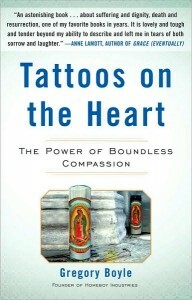 I cannot more highly recommend this compelling read — Tattoos on the Heart is one of my all time favorites! We can create what we can imagine. Science recently discovered mirror neurons, which allow us to feel what another person is feeling, or at least provide a biological reference for this feeling. For example if a spider goes up another person’s arm, we react as though it is happening to us. The reaction depends on how we feel about spiders. In other words we are biologically able to imagine what the other person is feeling. Seeing is a process of projecting what you expect out into the world and constantly matching your experience, your prejudice, your expectation with what’s out there. So for me the mirror neurons are a particular system which embodies this principle. For me the discovery of mirror neurons presents a scientific glimpse in to the importance of collaboration in the therapeutic process. It is important for the psychotherapist to be a good reader of body language, to have highly developed intuitive skills, and to recognize that the client is the expert in their lives. It is equally important to use our skills to help the client bring forth their interpretation of their experience. As the therapeutic relationship develops, so does attunement and clarification of the client’s life stories, resulting in the client feeling better about their relationships. 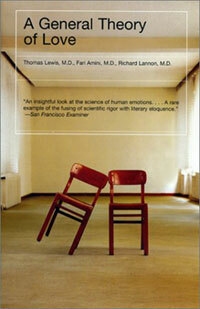 At the same time, both the therapist’s and client’s empathic skills are honed, as well. If you find this as thought provoking as I did, I recommend going on to the full video of Rifkin’s talk. 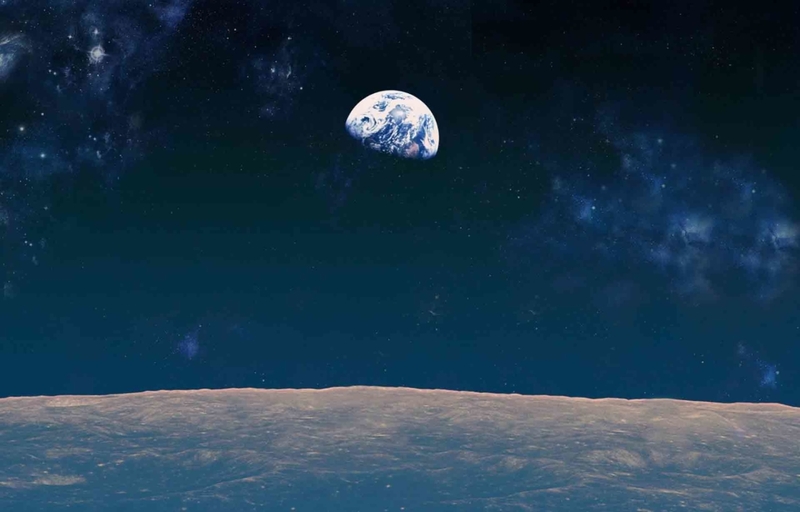 Could the world live as one, as John Lennon imagined? As a dominantly right-brainer who has struggled to be more left brain to satisfy the conditions of society, I was thrilled to read this testimony to the future of right brain thinking. A breezy, good-humored read . . . For those wishing to give their own creative muscles a workout, the book is full of exercises and resources. This book is well-written, easy to read and makes a compelling case for getting along. Indeed many of today’s influential thinkers, and scientific findings tell us that our salvation will be according to our ability to get along, which requires empathy. This book will motivate and encourage you to be the empathic being you are designed to be. An essential guide for anyone who cares deeply about the human condition, and how we can help each other through with love and guts. — Rick Hanson, PH.D. with Richard Mendius, MD. 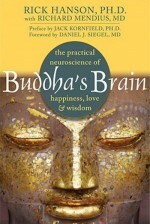 This is one of my favorite books because it combines knowledge and insights from Mendius, a neurologist, and Hanson a neuropsychologist, and has a forward and preface by two favorite mentors, Dan Siegel MD, and Jack Kornfield PH.D.
You will be introduced to wise new perspectives on life and the biological bases for fostering the development of wisdom. These chapters will help you better understand the workings of the mind and the neurological roots of happiness, empathy, and interdependence. — Marshall B. Rosenberg, Ph.D. 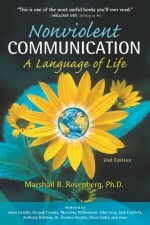 I have studied Non-Violent Communication on my own and through workshops and presentations. It was not until I listened to the audio CD of Speaking Peace that I really began to understand these important ideas and methods of communication. I believe the principles and techniques in this book can literally change the world, but more importantly, they can change the quality of your life with your spouse, your children, your neighbors, your co-workers and everyone else you interact with. I cannot recommend it highly enough. We often hear about the mind body connection. From what I’ve learned, I believe the there can be no possible disconnection. 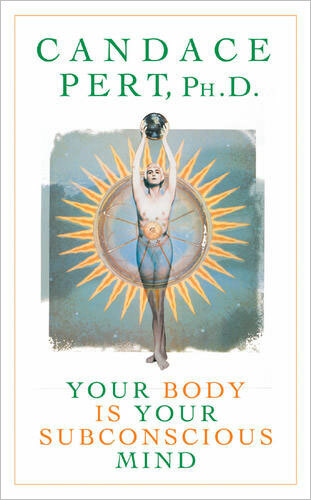 I recently listened on CD to Scientist Candace Pert’s audio book, Your Body is Your Subconscious Mind. 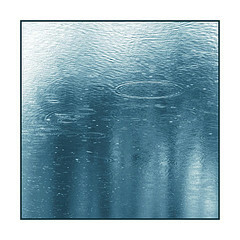 Click on the CD image to the right or the link above and scroll down the page to hear a sample and read the description. I, and probably many of us, have pictured cells in our brains as different from other cells in the body. 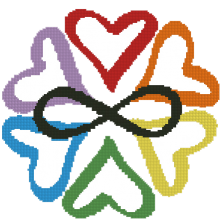 Pert helps us understand how truly interconnected the mind and the body are, giving new meaning to the expressions “gut feeling”, “heart felt”, and “it sends shivers down my spine”. Pert says the difference between man and other animals is that human beings can choose where to place their attention. To know how our feeling and thoughts inter-relate gives us more power to choose where to place our attention, so that we’re better able to promote our desired behaviors. Learning Mindfulness was one of the most transformational experiences of my life. That was in 1986. Mindfulness is now a top psychotherapy intervention method, and popular across many disciplines. 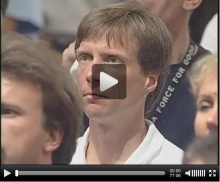 The following video provides a nice overview on the topic of mindfulness. “Founded in 2003 by award winning actress, director and producer Goldie Hawn, The Hawn Foundation is dedicated to supporting children by advancing mindfulness training in educational and community-based settings.” In this interview, Dan Siegel describes the fundamentals behind mirror neurons, mindfulness and how we can begin to shape behavior through mindful practice. Is this a topic of interest, and/or a tool that has been useful in your life?